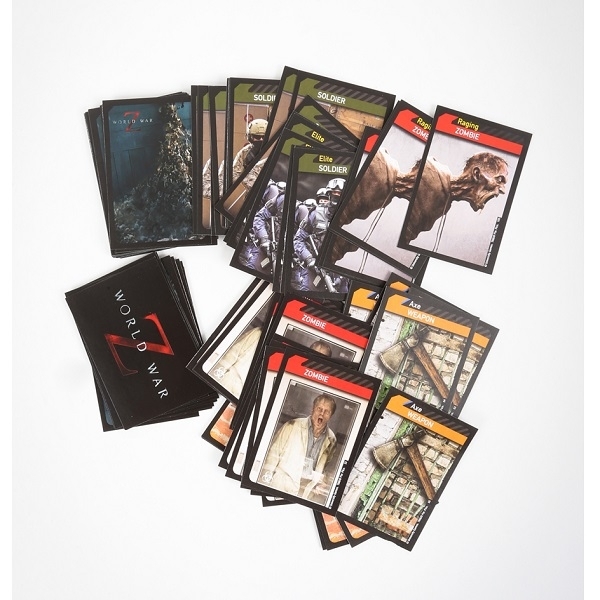 Produced by University Games and suggested for players ages 10 & up, the World War Z card game enables players to experience the world of WWZ in a whole new way, utilizing strategy and luck to survive Zach. 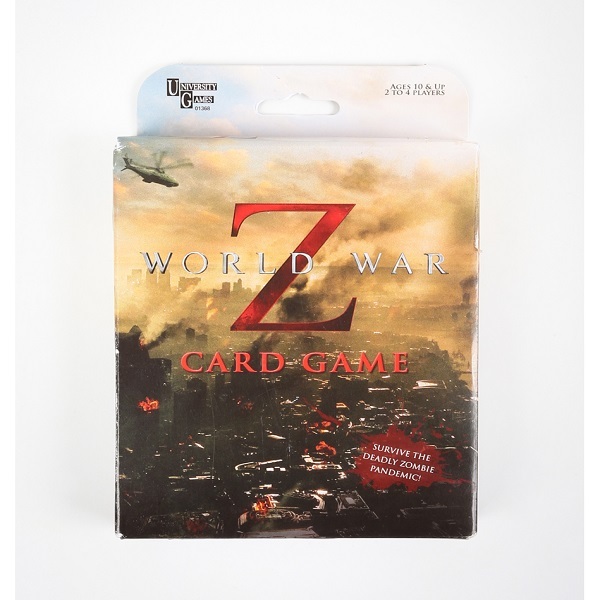 A zombie outbreak has gripped the entire world. Be the first to secure your home continent against the threat of Zach using weapons and soldiers - including elite forces. 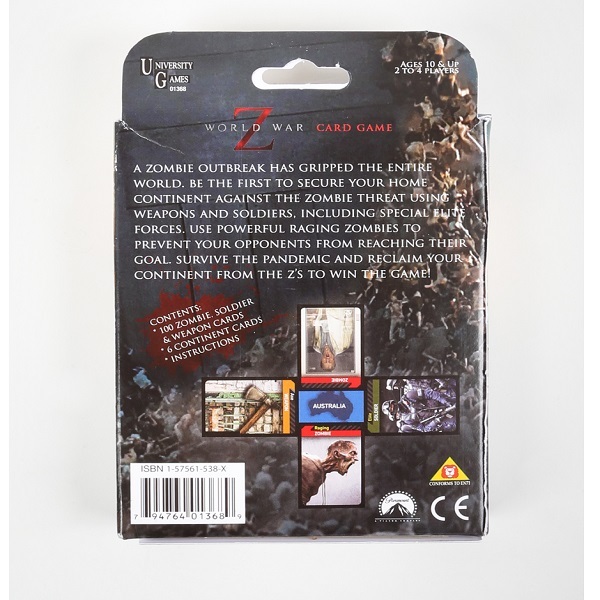 Use powerful raging zombies to prevent your opponents from reaching their goal and survive the pandemic to reclaim your continent to win the game!